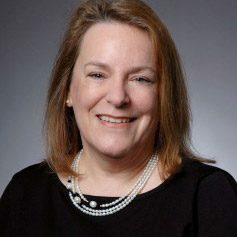 Nancy Howell is Professor of Theology and Philosophy of Religion at Saint Paul School of Theology, where she has served as both Academic Dean (1998-2002); Vice President for Academic Affairs and Dean (Acting, 2009-10 and Interim 2010-2011); Acting President (March-June 2016); and Executive Vice President (2016-2017). In 2016, she was appointed to the Oubri A. Poppele Chair in Health and Welfare Ministries. She received her Ph.D. in Philosophy of Religion and Theology from Claremont Graduate University in 1991. Her career includes teaching at Pacific Lutheran University (1990-1998) and working in the Departments of Pharmacology and Viral Oncology at the University of Chicago (1975-1979). Her current research interests relate to implications of primate research for the redevelopment of Christian thought. Howell is author of A FEMINIST COSMOLOGY: ECOLOGY, SOLIDARITY, AND METAPHYSICS and is an editor of THE ENCYCLOPEDIA OF SCIENCE AND RELIGION and CREATING WOMEN'S THEOLOGY. She serves on the steering committee of the Science, Technology, and Religion Group of the American Academy of Religion and is a consultant for the Smithsonian Institution, serving on the Broader Social Impacts Committee for the Human Origins exhibit at the National Museum of Natural History. Howell is a member of the board of the Bonobo Hope Initiative. She has received four teaching awards dedicated to undergraduate and graduate courses engaging dialogue between science and religion. Most recent contact information (Summer 2018): Saint Paul School of Theology, 13720 Roe Avenue, Building C, Leawood, Kansas, 66224, USA; Tel. 913-253-5012; Email howellnr@spst.edu.